Dental Triage: What is an Emergency? Correctional nurses regularly make decisions about the need for emergency treatment of dental conditions. These decisions come as a part of dealing with a sick call request or a ‘man down’ in the facility. What are some key findings that indicate a need for emergency dental treatment? Emergency evaluation starts with the ABC’s (Airway-Breathing-Circulation). Dental conditions affect the ability to breathe and swallow. These are two immediate concerns in evaluating any dental condition. Ability to breathe and swallow is affected by infection, traumatic injury, persistent bleeding in the oral cavity, or swelling. Impairment of breathing or swallowing needs immediate emergency treatment. Determine what incites the pain: thermal sensitivity (cold vs hot), biting pressure, constant pain, recent dental procedure. Have the patient locate the pain by pointing to the tooth or area of the mouth. Sometimes the pain can be referred by an adjacent tooth or come from the opposite arch. Check the tissue for swelling. Check to see if the tooth is fractured. This helps to determine if the pain is from the soft tissue or from the tooth itself. Often the overall condition of the patient can indicate the intensity of the pain and the level of treatment need. Obviously a toothache that has kept a patient up all night due to unremitting pain needs to be seen by the dentist immediately. Patients that are having intermittent pain or occasionally occurring pain can usually be given pain meds and appointed to the dental office at the next available opening. Severe infections, like severe pain, will affect the entire patient. Vital signs and general appearance will be altered. If the patient has facial swelling, a pulse greater than 100 and a temperature over 101 F, they need to see a dentist immediately. This may indicate a systemic infection or cellulitis that requires aggressive antibiotic treatment. 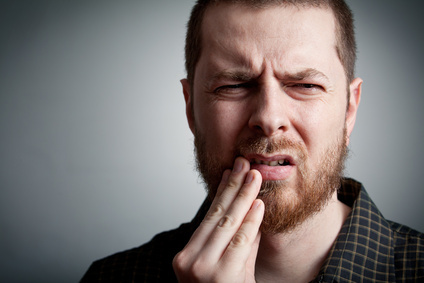 Indications of a milder mouth infection can be treated with over-the-counter pain medication and be scheduled for a dental or medical staff appointment in the next 24 hours. Mild infection presents as localized swelling and a fever of less than 101 F. Supportive care such as a soft diet and heat application may also help. Have you had to deal with a challenging dental emergency? Share your experiences in the comments section of this post. This entry was posted in Dental and tagged correctional nursing, Dental, Essentials of Correctional Nursing, jail nurse, Lorry Schoenly. Bookmark the permalink.